After what feels like the longest Winter in the UK, it's starting to finally feel like Spring. I love a new season to feel refreshed, renewed and all that good stuff! So to sweep away those deary Winter blues in your home. 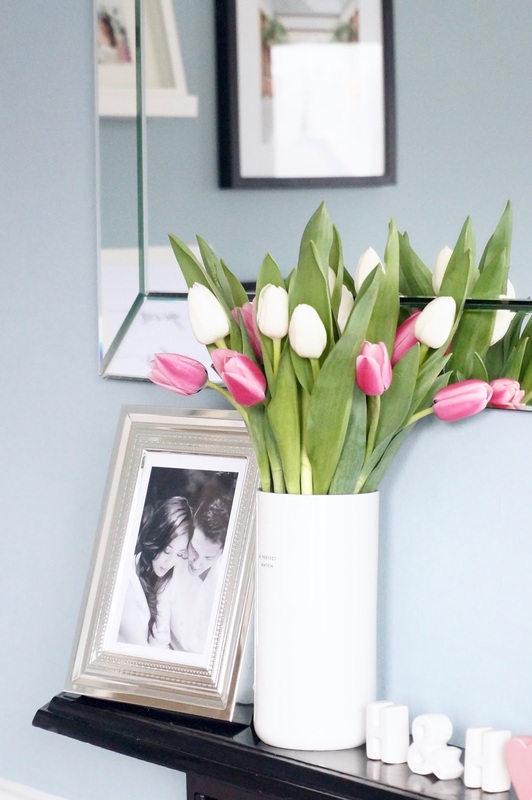 I'm sharing some ways to get your home ready for Spring, I find a tidy home improves our well being and productivity too. 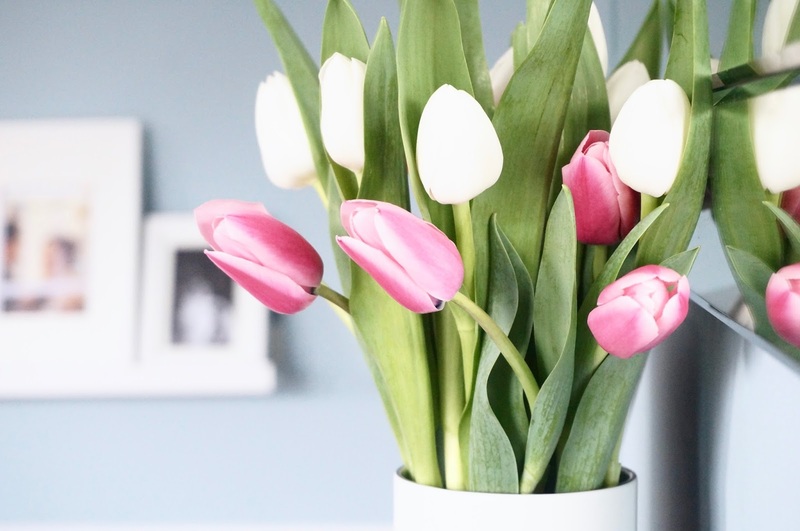 Nothing says Springtime than having some fresh blooms in your home. I adore roses, tulips and hydrangeas. I usually leave a bunch in our living room where the light comes in and they always brighten up my day. 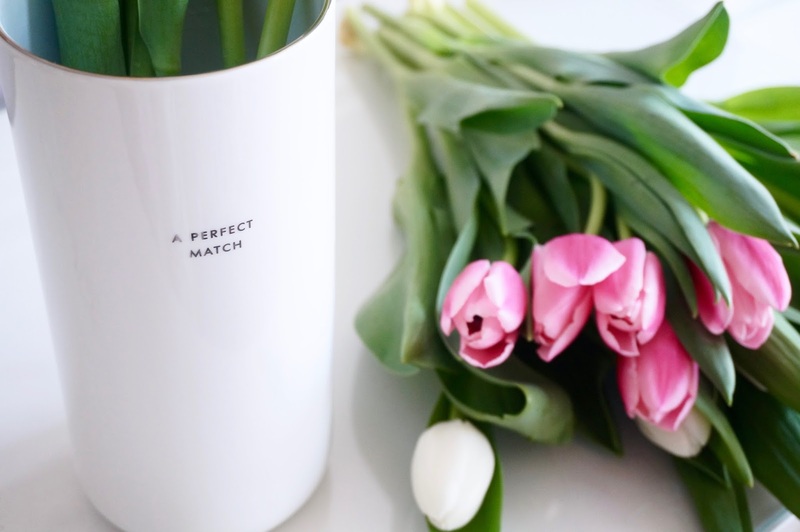 I recently received this adorable Kate Spade vase* her home and stationary range is super stylish and this chic white vase is no exception. I love the blue colour on the inside and the simple white design adds instant freshness. It also has a cute saying 'A Perfect Match' ideal for an engagement or wedding day gift as well. 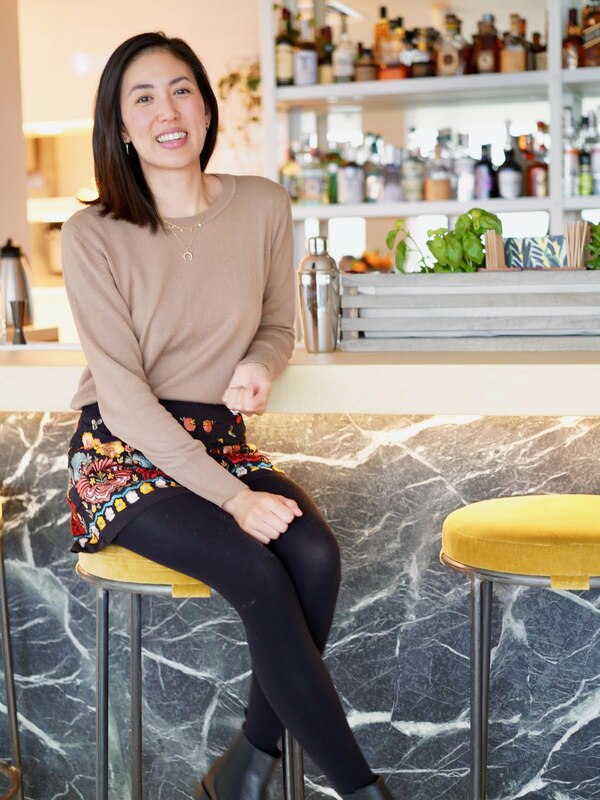 This is such a big task tackling your wardrobe as we transition into Spring but it's time to free your wardrobe from all those heavy layers! Start with your coats and jackets, store and pack away any heavy outerwear you don't need and free up your coat rake in the hallway. Next move onto the rest of your clothes, use this time to donate any clothes you don't wear any more - be ruthless! Finally onto your footwear, as the weather warms up think about storing away your Uggs and Winter boots and dust off your sandals and flats. Be real ladies when was the last time you cleaned your makeup brushes and checked the expiring dates on your toiletries? I'm super guilty! We all know grimy stuff clings onto old tubes - yuk! Time to throw away old mascaras, lipsticks that smell a bit funky and gloppy nail polishes. If there are samples or products that you don't use, pass them onto friends or family. Also check the beauty products in you bathroom, throw away any out of date bottles, replace old toothbrushes, razors and loafers. I had gift sets that was years old that I don't use - time to throw! As our lives are so consumed with technology these days, this can also be a good time to have a digital tidy up as well. Clear up your inbox, un-subscribe from newsletters you're not interested in any more, as well as cull your follow lists on social media. If you want to take it a step further you can also delete social media apps from your phone, so you have to on your desktop if you want to go online! I hope you found these tips useful, I feel ready to tackle these tasks to get my home ready for Spring now! How do you like to get your home ready for Spring?